Golf Turf Management provides information on major agronomic and economic topics related to building and maintaining a viable golf course. The book features basic and applied information on available grasses including selection and use; applied turfgrass physiology; soils and soil amendments; environmental concerns; and comprehensive information on turfgrass physiology, plant nutrition, turf fertilizers, and water management. 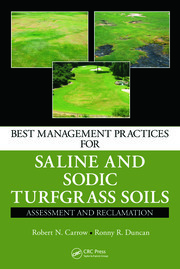 It discusses managing turf diseases, insects, and weeds; turf cultural practices; managing greens and tees as well as corporate course management strategies. Color photographs throughout illustrate concepts and topics including all major pest problems associated with golf courses and various agronomic practices necessary for successful and profitable course operation. The book suggests strategies to develop best management practices for golf courses including personnel and financial considerations when developing and implementing annual budgets, leasing versus buying equipment, and managing inventory. This book features sixteen chapters organized in a logical sequence conducive for teaching and practical use. 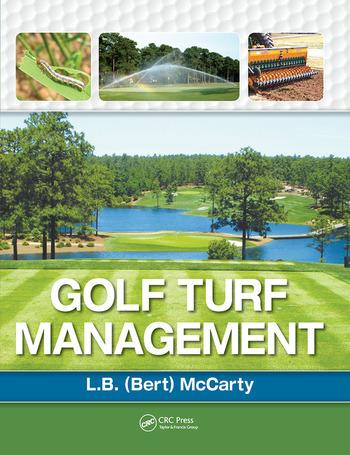 Drawing on the author's more than thirty years of experience and research, the author brings together a wealth of information on how to optimize golf turf management and performance. Golf Turf Management is the only complete, up-to-date text dedicated to agronomic practices and personnel management practices necessary for fiscal success. Turfgrasses. Turfgrass Physiology and Environmental Stresses. Soil Chemical and Biological Properties. Soil Physical Properties and Drainage Characteristics. Golf Course Construction and Renovation. Turfgrass Establishment and “Grow-In.” Plant Nutrition and Turf Fertilizers. Water Management. Turf Cultural Practices. Managing Greens and Tees. Integrated Pest Management. Turfgrass Diseases and Nematodes. Turfgrass Insects. Turfgrass Weeds and PGR Use. Pesticide Use and Calibration. Budgets and Personnel Management. Bert McCarty is a Professor of Plant and Environmental Sciences specializing in turfgrass science and management at Clemson University in Clemson, South Carolina. A native of Batesburg, South Carolina, McCarty received a BS degree from Clemson University in Agronomy and Soils, a MS from North Carolina State University in Crop Science, and a PhD from Clemson University in Plant Physiology and Plant Pathology. Dr. McCarty spent nine years as a turfgrass specialist at the University of Florida in Gainesville. While at the University of Florida, he oversaw the design and construction of a state-of-the-art research and education turfgrass facility named “The Envirotron.” He also was author or co-author of the books Best Management Practices for Florida Golf Courses, Weeds of Southern Turfgrasses, and Florida Lawn Handbook. In 1996, he moved to Clemson University, where he is currently involved in research, extension, and teaching activities. He has published numerous articles dealing with all phases of turfgrass management and is in constant demand to conduct presentations, workshops, training sessions, and on-site visits concerning all phases of turfgrass establishment and management. 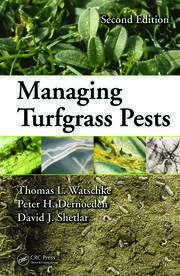 He is currently co-author of the books Color Atlas of Turfgrass Weeds (3rd ed. ), Weed Control in Turf and Ornamentals, Southern Lawns, Managing Bermudagrass Turf, and Fundamentals of Turfgrass and Agricultural Chemistry. He is co-author for the GCSAA workshops Weed Control, Advanced Weed Management, Managing Bentgrass Golf Greens in Heat Stress Environments, and Managing Ultradwarf Bermudagrass Golf Greens. 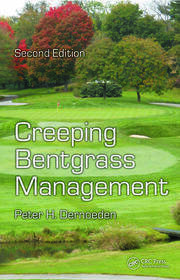 He also teaches an undergraduate/graduate course, Advanced Turfgrass Management. He is a fellow for the Crop Science Society of America and the American Society of Agronomy. He is also recipient of the Fred Grau Outstanding Turfgrass Scientist Award and is active in a number of professional societies. He is an oft requested speaker, teacher, and consultant.